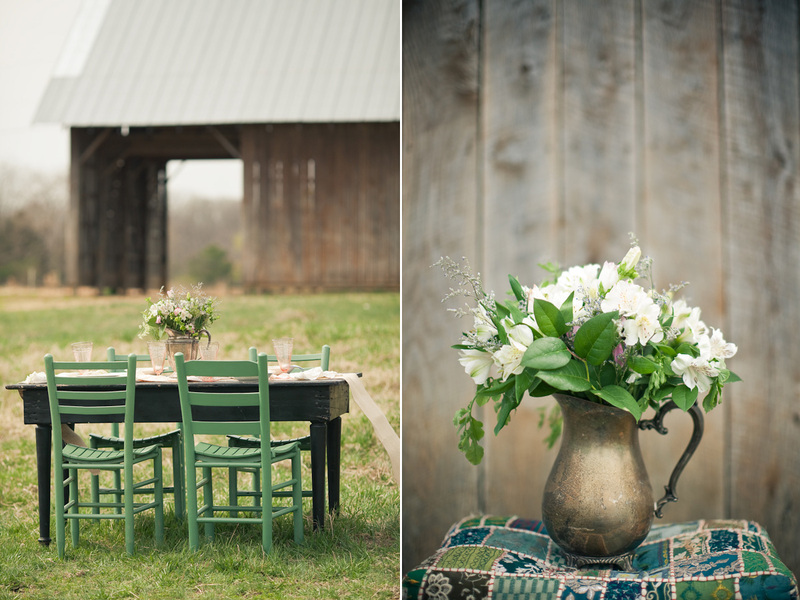 Photographer Meghan McSweeney, along with a killer host of vendors, including stylist Lindsay Averette of LK Events and Design, put together a photo shoot set on a farm. 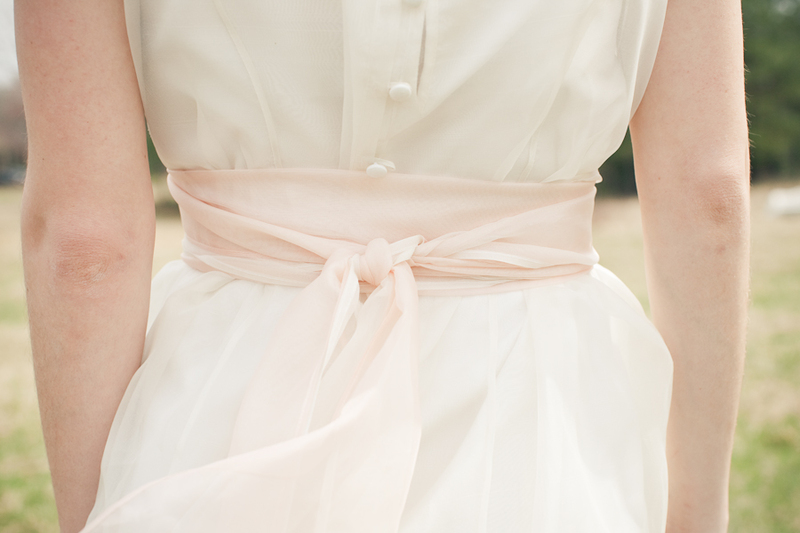 I love the soft colored images and the understated elegance of the details. Check out all the awesome vendors below. 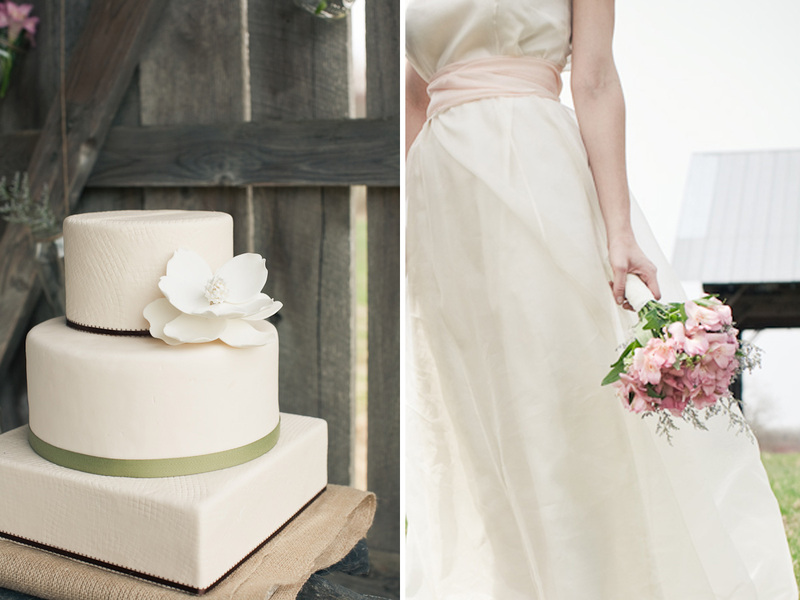 Love the shot of the cake! looks yummy! 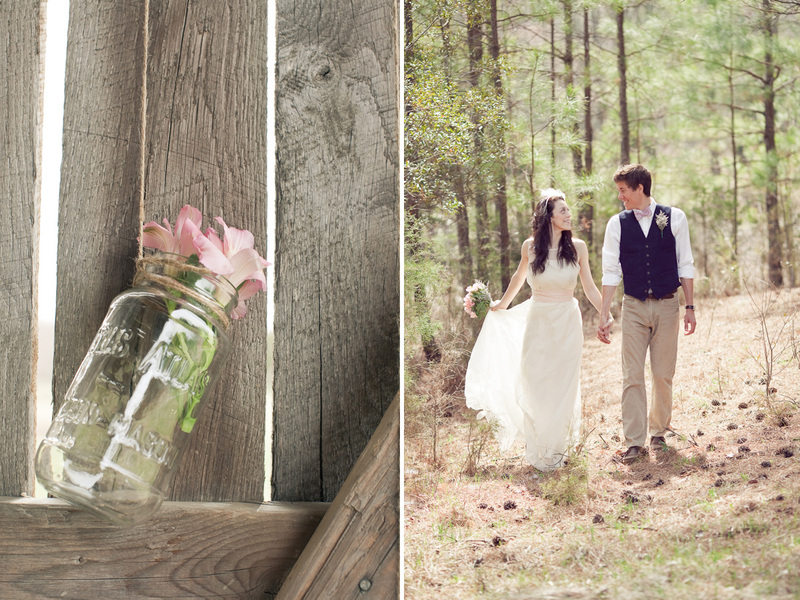 so sweet and rustic! I love the feel! 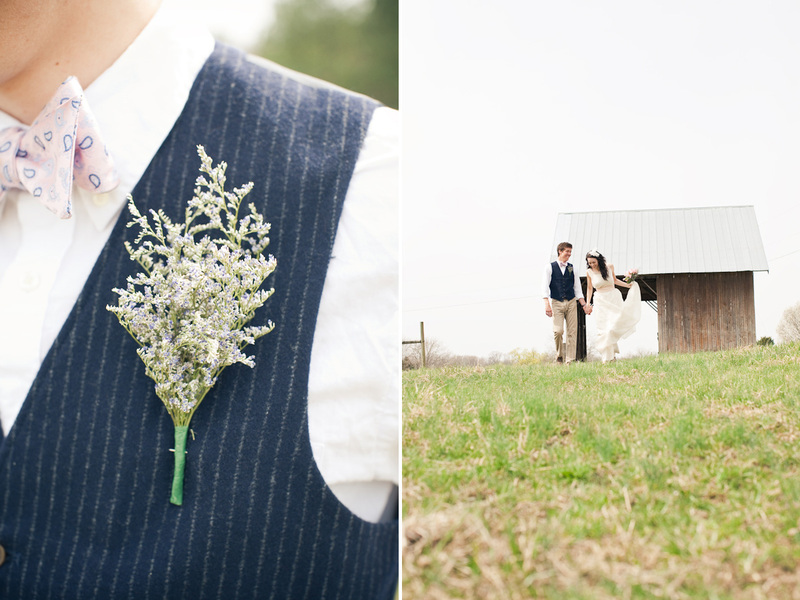 If the point is understated, this wedding made it, in spades. However, more could have been done. This looks too average for me. someone didn’t even bother to clean the tea pot. Hey Katz. I think those are both pitchers, not tea pots. I know some may prefer their silver bright and shiney, but I actually really love that these pitchers look old and worn. The patina that only comes from age is very desirable to me, as it really gives off a vintage feel. Also, remember that this is a photo shoot. not a real wedding. The point here was to capture a lovely scene, with a lovely couple. And that’s been accomplished in spades. In terms of photo shoots, try to remember that sometimes, designers have the tendency to go OVERBOARD (I’m certainly guilty of this, so I’m not pointing any fingers). 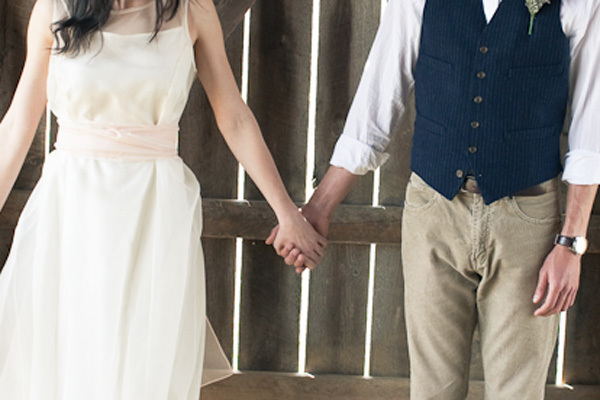 When you look at many mock weddings/photo shoots, they are very unrealistic for actual brides, because the cost of the table you see in the shoot times the number of guests at a normal wedding would be astronomical. It can be easy for a design team to spend $500 on a table (at wholesale cost) to showcase their talents. But ask a bride to spend that, times 20 tables and you start to realize that for most brides, they’ll never spend that much. 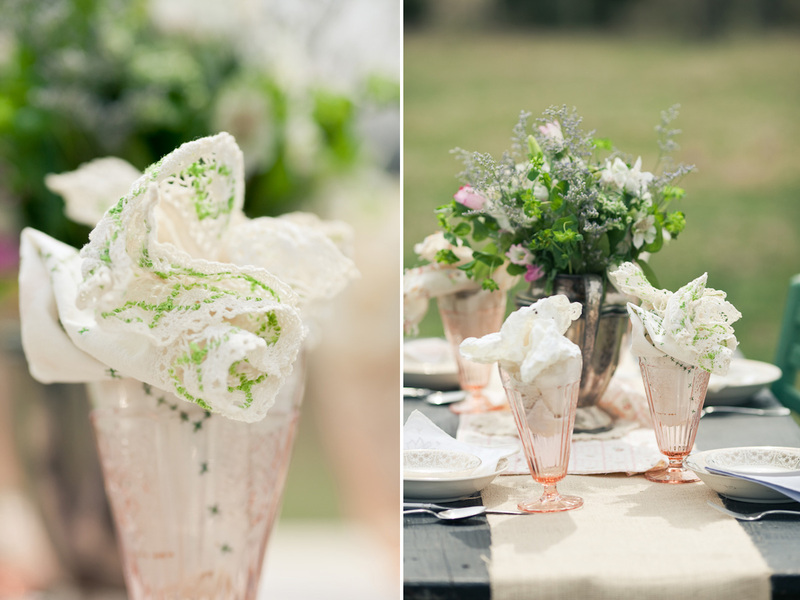 Usually photo shoots have a different goal in mind, but what I appreciate is that if this photo shoot were a real wedding, and you multiplied this table times 20, and you added in a few typical elements you’d see at a reception, guests would likely be delighted with the charm and beauty of the details. This is so sweet! 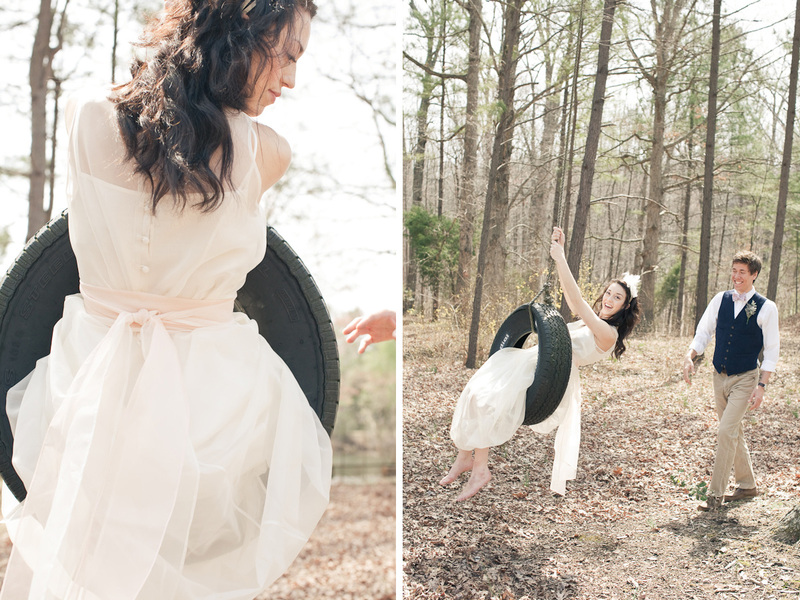 I especially love the tire swing shots! Thanks for all the wonderful comments ya’ll. And thanks for your explanation–you hit the nail on the head with where I was going. Organic and simple. 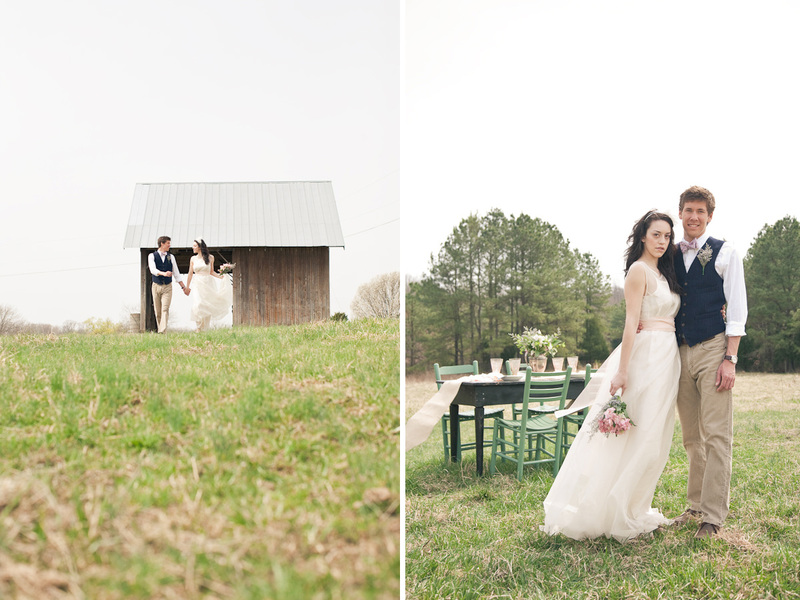 An understated, soft palette utilizing the natural surroundings of the farm, lake and barn. 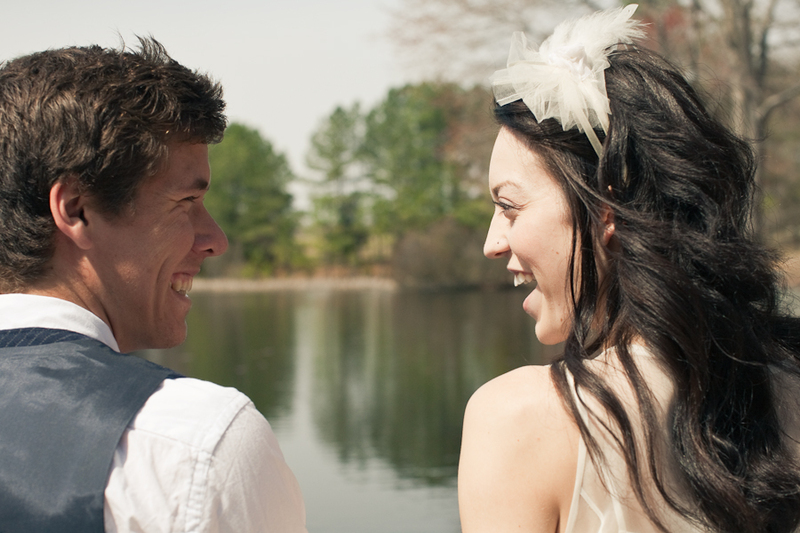 And I agree, so many shoots are overdone and unrealistic to execute for most bride’s budgets. We scoured vintage stores, thrift stores, and raided my vintage guru, Charla’s, home for printed tea napkins, muted glassware, and antique china. I fell in love with the tarnished pitchers for just that reason–they were tarnished and untouched. I didn’t even consider cleaning them. Thanks again for all the love. It was definitely a fun shoot! 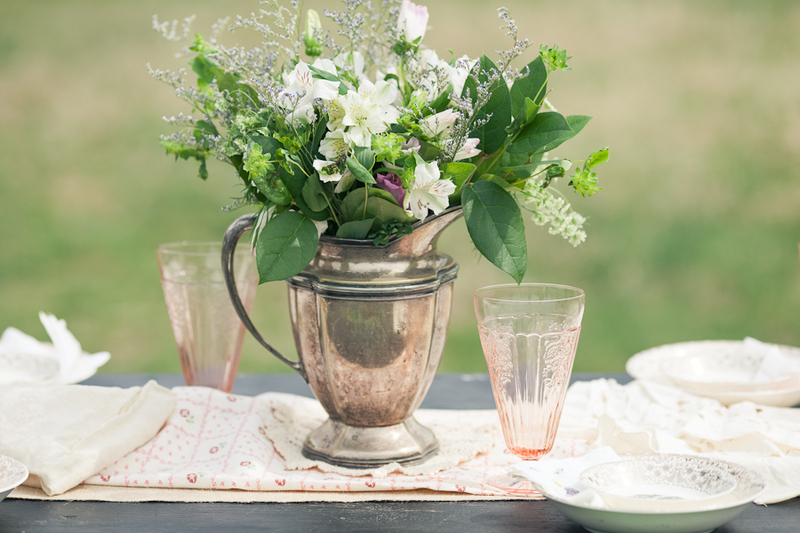 lovely shoot..i actually prefer the vintage patina finish on the pitcher and those napkins are adorable. great job!! !